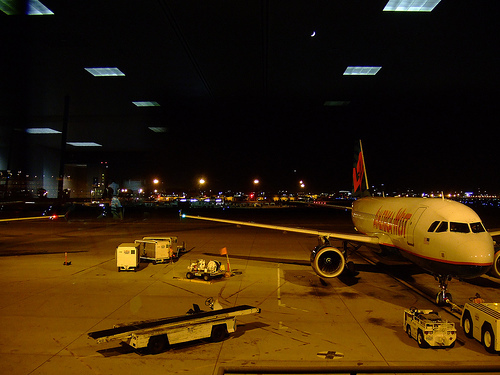 Phoenix Sky Harbor International Airport (PHX) was nicknamed The Farm when it opened in 1935 due to its rural location. That is hard to imagine now, as PHX is located 3 miles from downtown Phoenix. The most recent terminal was completed in 1990, giving PHX 3 terminals. There are over 30,000,000 parking spaces at PHX. Looking for an International Air Quote for Phoenix? Arizona air freight servicing agents are always available to discuss your air forwarding needs. PHX handled 275,784 tons of cargo in 2008 or about 600 tons a day. The air traffic control tower, which completed construction in 2007, is the second largest in the US. Interestingly, PHX has such consistent wind patterns that all of its runways are parallel.